FCP is a general purpose concurrent logic programming language. 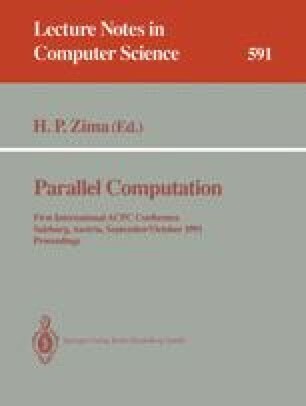 We describe a distributed implementation of FCP on a multi-transputer environment based on the design of a parallel FCP machine. Substantial design issues including the applied distributed reduction algorithm as well as the integration of the different communication models — the one for the application language and the one for the target architecture — are considered in detail. From our prototype implementation running on a Parsytec Supercluster multi-transputer system, we present some performance results.